As C50 Media Holdings Chairman and CEO, Pat is responsible for the overall strategy and execution of C50 and all of its portfolio and affiliate companies, including Pitch, Incentient, and First Media Funding. Prior to C50, Pat served as CEO of Holt Media Companies (HMC) from 2014 - 2019. Prior to HMC Pat co-founded Incentient, Inc., and served as its Chairman and CEO from 2008 - 2014. Prior to Incentient, Pat founded United Asset Coverage, Inc (UAC) in 1997 and served as its Chairman and Chief Executive Officer from January 1997 - February 2007. Achieving the ranking of #24 on the INC 500 list of fastest growing companies in the United States, UAC maintained a 4,340% growth rate over the first 5 years of formation. Prior to his work with United Asset Coverage, Pat served as Vice President of North America sales for GE Capital-ResCom, and held various leadership roles in the telecommunications industry since 1983. In addition to serving as Chairman of C50, Pat also currently serves as a Director on the boards of First Media Funding, CoreView Capital, Highlanders LLC, and the Leadership Board of the National Italian American Sports Hall of Fame. As the Chief Revenue Officer of C50, Dave is chartered with driving revenue across the C50 platform. Prior to his role as CRO for C50, Dave served as the Chief Revenue Officer for Hold Media Companies. Prior to his tenure with Holt, Dave founded Outdoor Media Group (OMG), which was later acquired by Omnicom Media Group. During his tenure at OMG, the company expanded to include Outdoor Media Alliance (OMA), Outdoor Imaging (OI), Outdoor Media Group WB (OMGWB), and Theory. Prior to founding OMG, Dave held many positions within Interpublic’s Out of Home division; Outdoor Services Inc. (OSI). Along with her role as Chief Marketing officer for C50, Jennifer Martucci is the Founder of Incentient, Inc. and serves as the company’s President. Jennifer heads product direction from application design through final production of Beta software and hardware platforms. Ms. Martucci’s vision carries through from product inception to client acceptance. Prior to her current role, Ms. Martucci has served as Chief Marketing Officer for Holt Media Companies, and has served as a strategic consultant to Pfizer Corporation from 2006 to 2008. Ms. Martucci was the Founder and served as Chief Executive Officer of GPSTracks, LLC from 2001 to 2006. Jennifer was awarded 23 technology patents and 2 method patents. 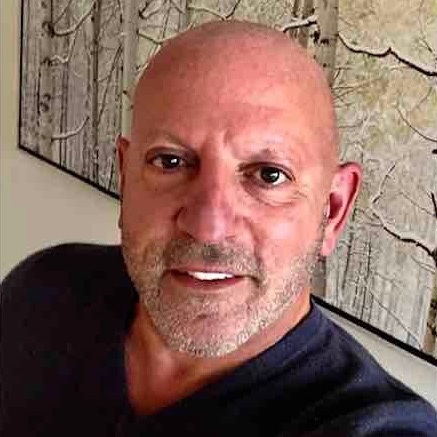 Gregg joined C50 Media Holdings as Controller May of 2015. In this position, Gregg is responsible for treasury operations, financial reporting & analysis and internal controls. Throughout his 30+ year career in finance and accounting, Gregg has held senior finance roles predominately with software and technology companies. Prior to joining the company, Gregg left the corporate world and purchased a hospitality business in San Antonio, TX and was the co-owner/operator with his wife Kelly from 2007 until May of 2015, building it to become the #1 rated business in its class. Before that, Gregg served as the Manager of Financial Planning & Analysis with Sterling Commerce, an IBM company, in 2006 and 2007, where he led the review, coordination and consolidation of forecasts and operational & capital budgets. Before joining Sterling Commerce, Gregg held Controller positions with numerous subsidiaries of Sungard Data Systems from 1998 to 2005 while focusing on post-acquisition integration work in the areas of accounting, financial reporting, internal controls, process improvement and treasury management. ©2019 C50 Media Holdings. All rights reserved.